Spartan: Ultimate Team Challenge will be back. Recently, NBC announced the series has been renewed for a second season, which will debut this summer. The physical competition show follows teams of five as they “compete on one the most demanding courses ever devised” for a prize of $250,000. 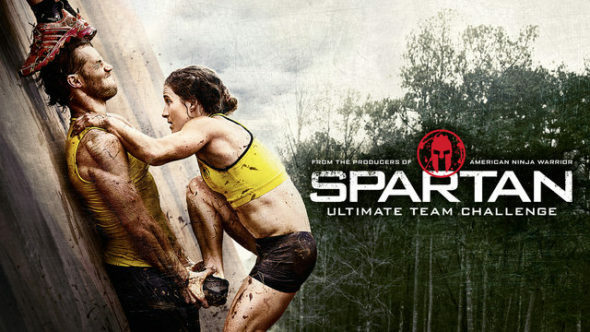 Season two of Spartan: Ultimate Team Challenge premieres on June 12th. SPARTAN: ULTIMATE TEAM CHALLENGE” – MONDAY, JUNE 12 FROM 10-11 P.M. Inspired by Spartan Race – the creators of the world’s most demanding obstacle course races – “Spartan: Ultimate Team Challenge” raises the bar on team competitions. Groups of friends, families, co-workers and more must work together to test their determination, endurance and will. Teams of five will compete on one the most demanding courses ever devised and will have to push through the pain to win $250,000. What do you think? Have you seen Spartan: Ultimate Team Challenge? Will you watch season two? More about: NBC TV shows: canceled or renewed?, Spartan: Ultimate Team Challenge, Spartan: Ultimate Team Challenge: canceled or renewed? Spartan: Ultimate Team Challenge: Is the NBC TV Series Cancelled or Renewed for Season Three?